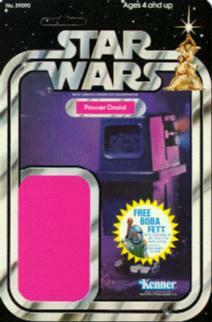 Star Wars proof cards for the first 21 figures are extremely rare and there are only a handful known to exist today. This proof card has square corners on the bottom like many proofs. Note that the card has the mail-away Boba Fett offer. The card back shows the rocket firing Boba Fett mechanism and a sticker was never placed on it like many of the production figures.